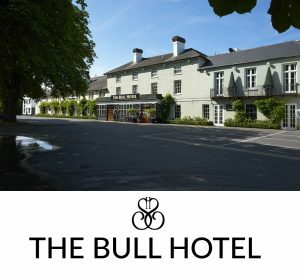 The Bull Hotel offers a beautiful fusion of 17th- Century charm with modern conveniences and provides a versatile venue for weddings and civil ceremonies. 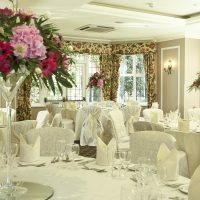 Encircled by leafy landscaped gardens, the former coaching inn has a peaceful and exclusive ambiance despite its convenient proximity to several major motorways, London and Heathrow airport. Because every couple is unique The Bull offers a variety of flexible packages to reflect that diversity. Enjoy the stress-free simplicity of a set package or choose to tailor your package to suit your needs. The Bull offers an incredible selection of flexible suites and rooms to choose from. Whether you are looking to hold a small intimate gathering of nearest and dearest or a grand celebration of up to 130, there is something to suit everyone. 110 ceremony up to 92 dining guests. 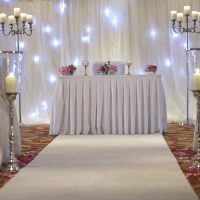 The Chalfont Suite is a versatile setting that can be split into 3 smaller spaces to suit your requirements. Suffused in natural light during the day the room benefits from adjustable coloured mood lighting for evening celebrations. 100 ceremony, 90 dining guests. Traditionally decorated, the Bulstrode Suite gets a contemporary twist with adjustable coloured mood lighting for the evenings. Guests can also enjoy access to the lovely terrace area from the suite. Additionally, the suite has a secret kitchen and function bar, ingeniously concealed behind sets of bookshelves. 120 ceremony, 90 dining guests. The contemporary Buckingham Suite features a distinctive atrium room which provides abundant natural light. Adjustable mood lighting and blackout blinds help create the perfect atmosphere to suit your vision and choice of decorations. 150 ceremony, 130 dining guests. The largest setting is the Thames Suite. Naturally lit, the Suite benefits from floor to ceiling windows and French doors that lead out onto a private terrace and the picturesque gardens. Coupled with dedicated free parking and the ability to partition the suite into smaller settings, the suite offers ultimate flexibility and convenience. 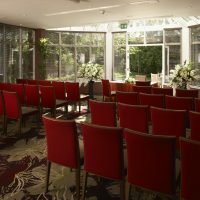 Overlooking the tranquil landscaped gardens, the aptly named Garden Room provides an ideal setting for smaller more intimate gatherings. Guests can enjoy access onto the private terrace which makes a lovely space during fair weather for drinks and canapes. For a truly memorable celebration why not extend your stay in one of the 150 beautifully appointed rooms or suites. 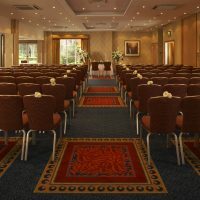 Relax prior to, or unwind following the excitement of your special day in a choice of Grand, Club, Executive, Superior, Traditional and Accessible rooms or Luxurious Suites. Delicious seasonal fare is created using the freshest herbs and produce that come straight from the hotel garden and locally sourced farms. The flexibility of the venue is reflected in the catering with menus that can be tailored to suit your tastes and requirements.